Portland Case Display - Cal-Mil Plastic Products Inc. The Portland bakery case is both functional and stylish, with its black wire metal frame and clear windows. 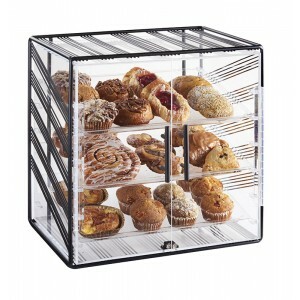 This is great for displaying a variety of baked goods for cafes, restaurants and more!